I've been Matched Betting full time for over 2 and a half years and thought I'd share some useful tips that have helped me with you. They are mainly focused on time management and organisation which are two key skills needed when Matched Betting like a hustler! Offers can come in from so many different places such as the Facebook forum, the website, your emails, and even your phone. It can be daunting deciding what to actually do, and how to manage your time. The way I manage my time is simple. Emails > Forum > Filter. Check your emails EVERY day. This should be the very first thing you do. You are looking for 2 things here, offers and gubbings. Firstly make a note of any recent gubbings, and then go through and look at all of the offers you've been sent. Delete the ones that aren't worth it and then start working through the ones that are. If you're ever not sure, you can post it in our Facebook group and we'll have a look for you! 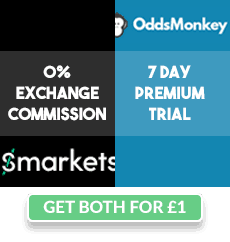 If you're signed up to Oddsmonkey you can do what I do and go to their forum every day (they do have an offers calendar but I find the forum easier as you can see discussion). What I do here is open a new tab with every single offer I haven't done yet on their forum. Sometimes I can have 20 or 30 tabs open on my browser! I'll then go through each offer and close down the tabs for the offers I don't fancy doing and then work through the remaining offers. If you'd consider yourself Team Regular, then we'd always advise doing minimum stakes on casino offers so that if you start having a bad run, you'll lose only a small amount. However, as Hustlers we are attempting lots and lots of offers and it would be very time consuming doing 20p spins all day long. What I tend to do is 40p or 60p spins on certain offers that aren't as high risk. The chances of losing are pretty small, and we're going to make a lot of profit long term anyway so it's just more of a time saving factor. As you can see on our Team Hustler guide, price boosts can be an absolute gold mine! You likely can't do every single one as you will inevitably be gubbed from certain bookies. But, if you did have all of your accounts you can make £300+ a month from just these alone! This is why whenever I'm at home I always have the boost thread open on Oddsmonkey, and I have push notifications enabled on my phone incase I'm out and about so it will alert me when there's a boost (some only last for a matter of minutes so you need to be quick in placing them). My bank process all transactions at 3.20pm every day apart from weekends. That means if a bookmaker has processed my withdrawal a day earlier, it will be in my bank at exactly 3.20 pm the next day. The reason I make my withdrawals on Wednesday evenings is so that it will be processed sometime on Thursday, and will be in my bank at 3.20 pm on Friday ready for the weekend (as money doesn't go into my bank on Saturdays). This is good practice to get in to in order to make sure you have enough money to do the weekend offers, as we are Hustlers and that's when we make most of our money! Hustlers don't like to waste time - we want to complete offers in the quickest time possible with as little effort as possible. That's why I'd highly recommend using an autoclicker of some sort. The auto-spin feature on some slots is terrible and you'll find that if you click spin 100 times a second, it's actually a hell of a lot quicker. You can sometimes spin 2 or 3 times quicker than normal, meaning you will have more time to complete other offers! I use Gary's Hood autoclicker, you simply set it up so that it keeps clicking over the spin button. You can then go make a cup of tea, come back and the offer is done! It really does help having two screens when Matched Betting. It makes it easy to flick between the bookmaker and the exchange, and even monitor multiple exchange prices so you get the lowest amount for your lay bet. Investing in your general set up overall will make your Matched Betting life so much easier and more fun.